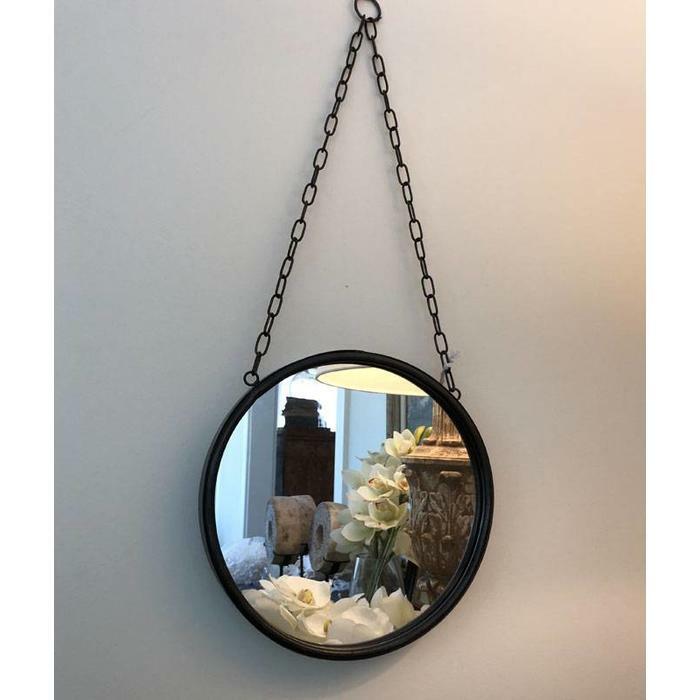 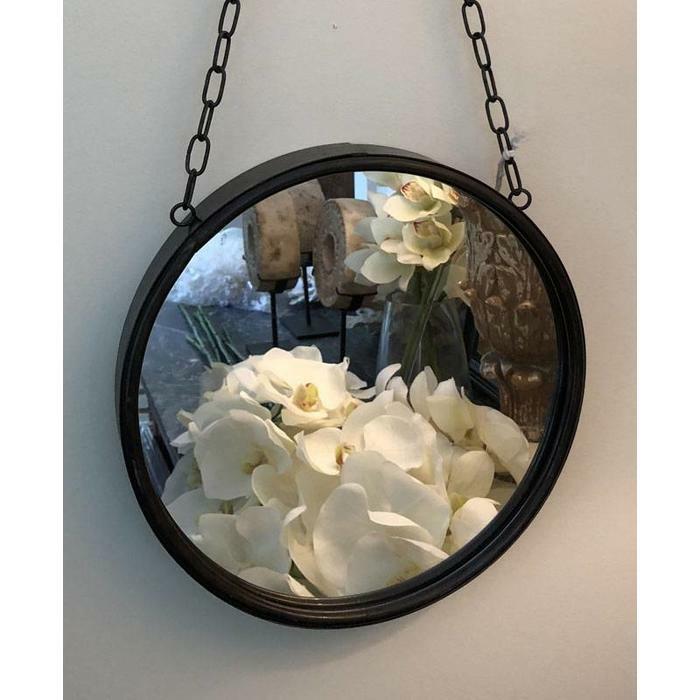 Round hanging mirror has a dark metal frame and hanging chain. 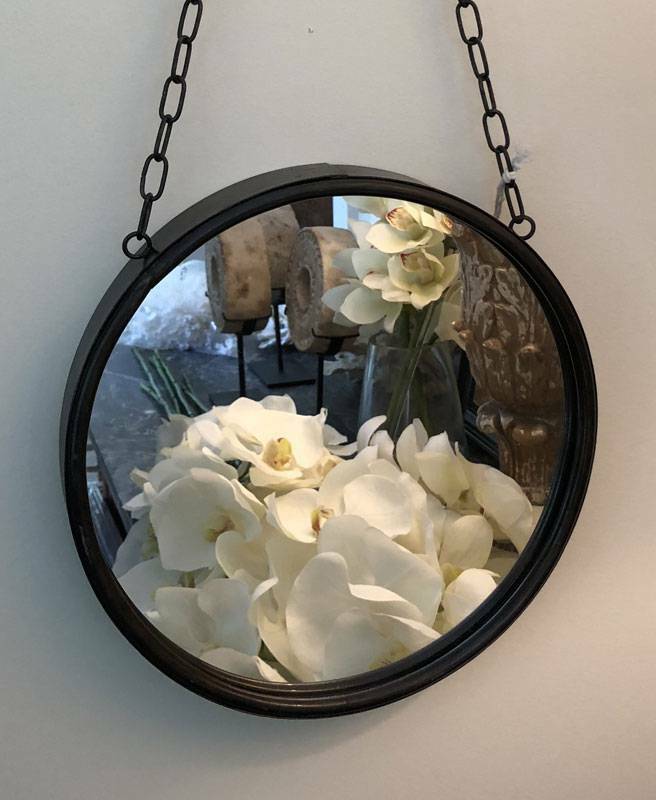 Mirror is 10" in diameter. 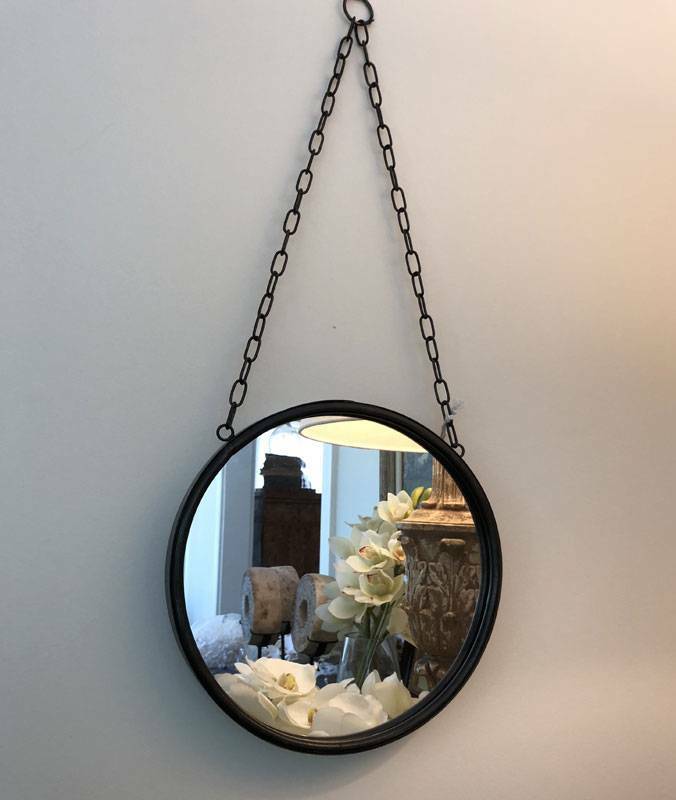 Overall height with chain is 23".